Heaps of visitors to London take a trip down the Thames, either on a tour boat or one of the Clipper ferries. These are great, and you definitely get to see some of the great landmarks from a different perspective. 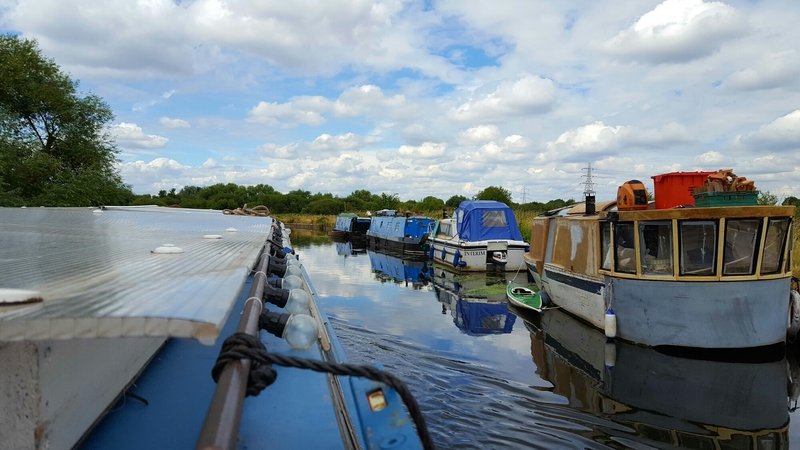 An awesome alternative though, for something a little different – a canal cruise! These aren’t just something reserved for a trip to Amsterdam; London actually has some pretty good alternatives as well. We took a trip last summer with a couple of mates on a boat called the Alfred Le Roy. The trip costs £40 per person, but that includes a cruise for a couple of hours, two cocktails each (which were amazingly good), as well as a charcuterie and cheeseboard. Best of all, you get to see a side of London which not many visitors do. (To top this one off – it is based right next to Crate Brewery, which is an excellent summer spot and a great brewery all year round. So if you finish the cruise and want to crack on – you only have to take a few steps). London is one of the most diverse cities in the world, so where better to experience a little bit of different culture than here? 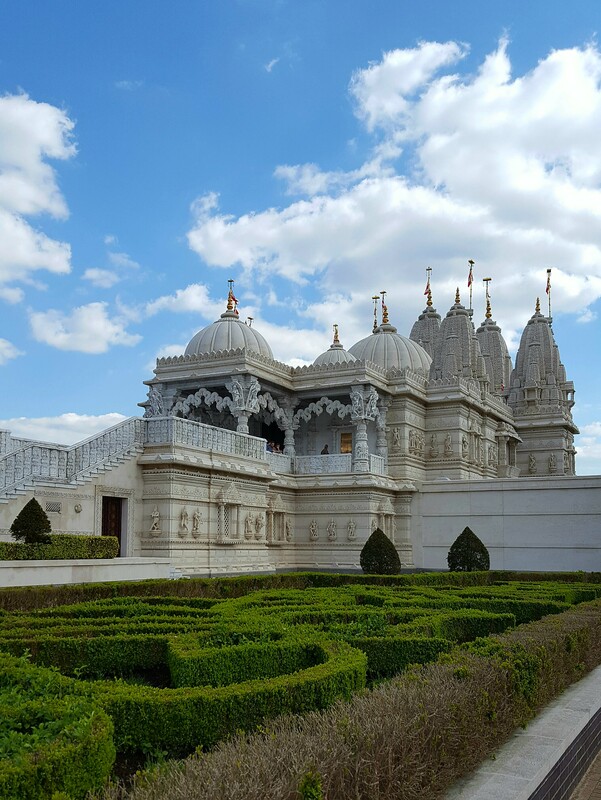 The BAPS Shri Swaminarayan Mandir (pictured above), also known as the Neasden Temple, used to be the largest Hindu temple in the world outside of India. It has since been surpassed in size elsewhere, but I think you’ll probably agree it is still a pretty imposing place (and self-funded entirely by the local Hindu community, which for some reason makes it all the more impressive for me). Situated in Neasden, north west London (B also knows this area as ‘that place with the giant IKEA’), it is easy to get to via the Jubilee tube line and free to visit, so one sunny afternoon I wandered up to check it out. There is a large Hindu educational centre, and of course the temple itself, and after donning a modesty skirt (bare legs aren’t allowed inside, and I was in shorts) I went in for a look. You aren’t allowed to take photos, so I’ll have to finish here by saying that the inside is more impressive that the outside, and that you’ll have to just go see it for yourself one day. The Shard or the Skygarden are pretty popular places to catch a nice vista of London, and with good reason – they’re both really cool, and have super views. The only problem with that is that everyone therefore visits them, so they are both a) very crowded, and b) photographed a million times already. London has many other places from which to look at the skyline though, so all you need to do for something unique is have a look around. 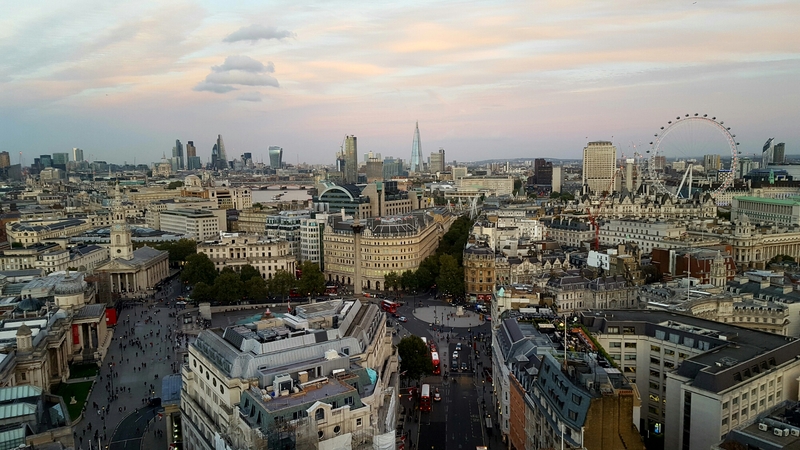 The picture above is from the top of NZ House, where there are pretty often open events you can attend (usually kiwi-centric, but not always). NZ House itself is spectacularly ugly, but you can’t see that from inside and the views out over Trafalgar Square towards the Shard are rather good, so keep an eye out for a chance to visit. This isn’t really super unique, but I’m going to include it anyway as I reckon it’s pretty cool to see a little bit of British tradition pass by on the street from time to time. The Mall, the road running down between Trafalgar Square and Buckingham Palace, seems to have some sort of little procession pass along it nearly every lunchtime (I work nearby, and run down here quite a lot). 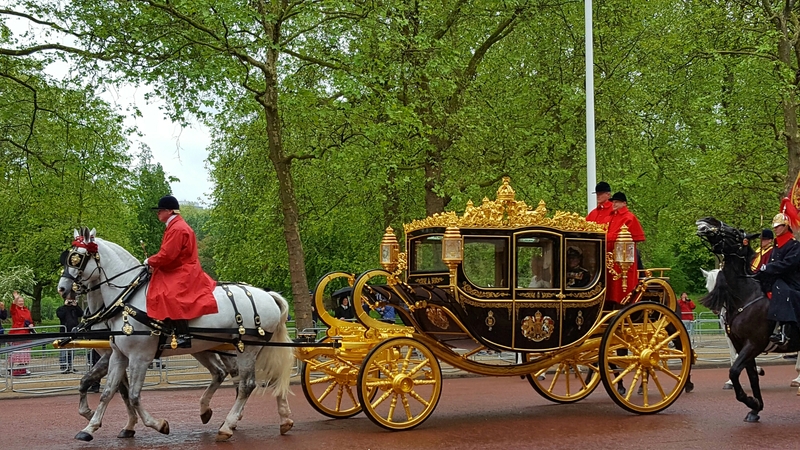 The shot above just so happens to be the Queen herself, which is a little bit rarer, but on any given day you’ll probably be able to see people marching along in full regalia. Places like Borough or Camden markets are well-known, and with good reason – they’re great and I love them. But with well-known comes crowded as well, unfortunately, so why not try one of the many others London has to offer? My particular favourite it Maltby Market, which is an easy 20 minute walk from London Bridge station. Most tourists won’t make it past Borough so there’s way less people (admittedly it is becoming a bit busy, of late – go early and it isn’t a problem), and for me the food is even better. A great spot to start your weekend. You may not think it at first, but London is surprisingly, almost amazing green. It’s actually one of the greenest capital cities in the world – apparently up to 47% of London’s overall area is made up of parks and other green spaces. So, why not make the most of it with a picnic? One of my favourite places for that over summer is in Regents Park. The south-western corner near Baker Street station is always smashed with thousands of people, but as you head north towards the zoo there’s always plenty of room to find a quiet spot. The photo above is by the cricket grounds, which I like – the combo of picnic food, prosecco, late afternoon summer sun and gentle cricketing noises in the background is pretty much perfect. Big football fan, like me, but struggling to get tickets to a Premier League match – well, how about try on of the many other non-Prem clubs based in and around London? Craven Cottage, home to Fulham, is my personal favourite (I’m still not sure I qualify as an actual fan, by UK standards of fandom). They’re currently in the league below Premier, so tickets are easy to come by while quality of play still remains quite high, and the stadium itself is really cool; it has been their home ground since 1896, and while it’s obviously been developed a lot since then you’ll definitely know you’re in an old ground. As you can see above, some of the ticketing doors were definitely designed for a different era. I hardly fit through. A little lame, but whatever. There’s a big yacht moored down near the ExCeL London, which is primarily a hotel but which also has a bar and deck at the stern which anyone is welcome to visit. There were hardly any people there when we went, other than the group we were with, which made it perfect to pretend we had the place to ourselves. The sunset views weren’t too bad either. On that kinda silly note, I think I might leave it at that. And if anyone reading this has some awesome tips of their own – let us know, we’re always on the lookout for something new and exciting to do in this wonderful city.